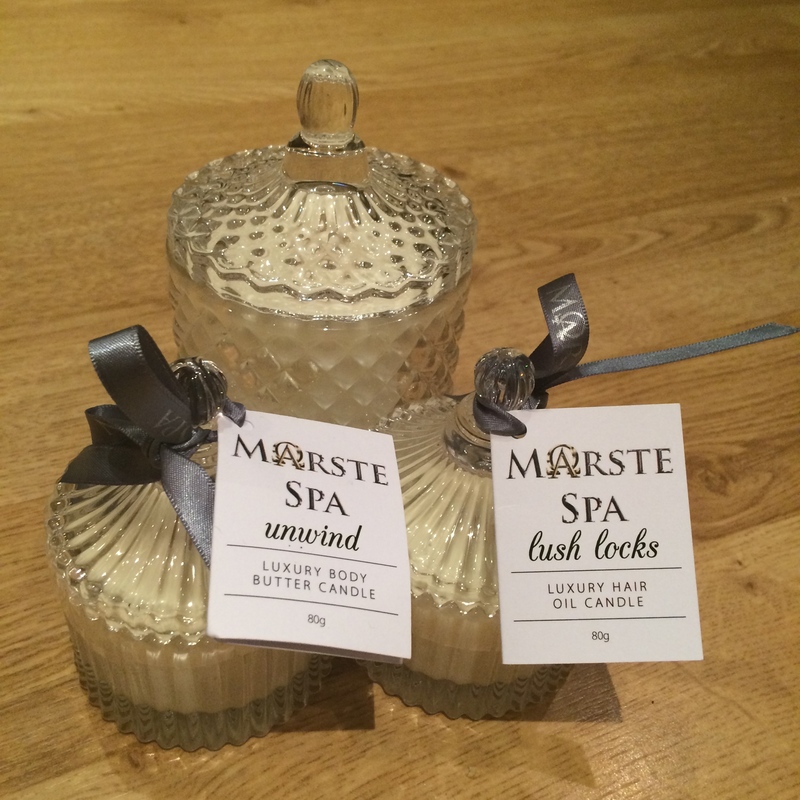 The Marste Spa Treatment Candles for hair and body were recently launched by Marie Reynolds and her business partner Stephanie Collins. The treatment candle range is made up of six blends – all of which are 100% natural – containing no parabens, sulphates, or mineral oils. 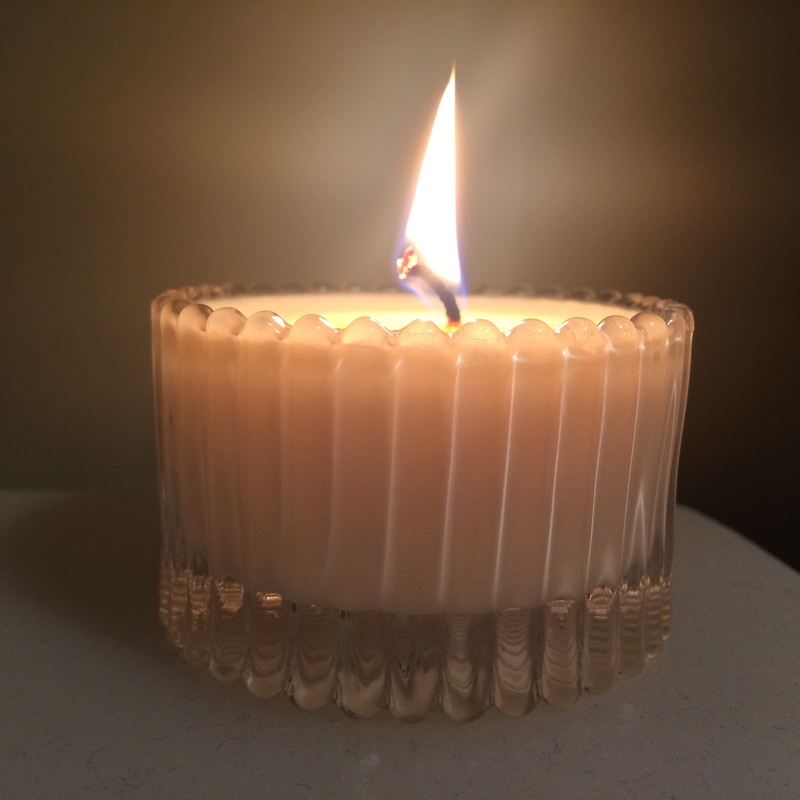 Everything that goes into each candle is from a plant, seed or flower – the skin readily absorbs the melted wax. Each candle is a blend of Cosmetic Soy Wax, Shea Butter, Cocoa Butter, Moroccan Argan Oil, Macadamia Nut Oil and Sweet Almond Oil – with an Essential Oil blend. Use on skin with stretch marks and scarring as well as on undamaged skin to improve elasticity and tone. The blends are deeply hydrating, and contain nourishing vitamins A, B, E and F.
Purity This candle is un-fragranced – so ideal for pregnant women, very sensitive skins, and children. It can also be used on the face – a particularly nice winter treat for the skin – or as a post shave balm for men. Revive Infused with essential oils of Grapefruit, Lemongrass and Lime designed to awaken the and invigorate the mind, body and senses. Unwind Blended with Lavender, Chamomile, Ylang Ylang and Vetivert – this is my ultimate candle. It’s warming on the skin – ideal after a bath before bed – and Marie suggests rubbing the melted wax in to the soles of the feet before going to sleep. Breathe Infused with Eucalyptus, Lemongrass, Lavender and Rosemary – to clear the head and to ease tired muscles. Perfect for those with sinus troubles and congestion. Lush Locks Packaged differently but the same candle that I have written about on my blog previously. Burn the candle to melt the wax and then massage in to dry hair. Wash as normal – after 20 minutes – or leave overnight as I do. Use solely on dry ends if you prefer, but I like to use all over and include a scalp massage. Burn each candle for at least 15 minutes before extinguishing. Use the melted wax on the skin – or if you are using the Lush Locks candle – on the hair. The treatment candles are priced at £22.00 for 75g. Liv Think of autumn. 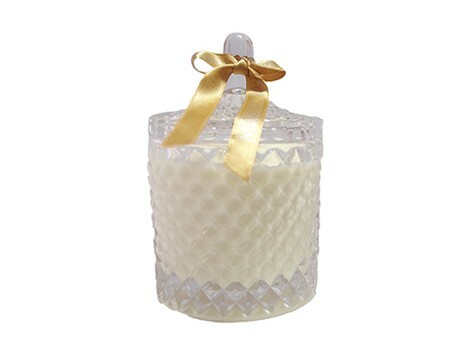 This candle combines warm Tonka Seed with Bergamot and Amber. The sweet musk base is a mixture of woody Sandal and Vanilla. Fenn Another warming blend – created with long winter nights by the fire in mind. The rich scent is created with oaky flavours and subtle spices; Spiced Apple, Plum, Clementine, Orange and Liqueur – blended with clove, cinnamon stick, nutmeg and amber. 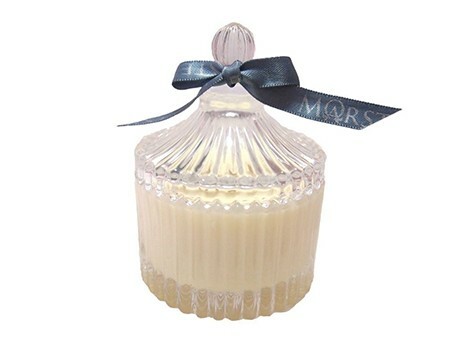 The Room Candles are priced at £40.00 for 210g. 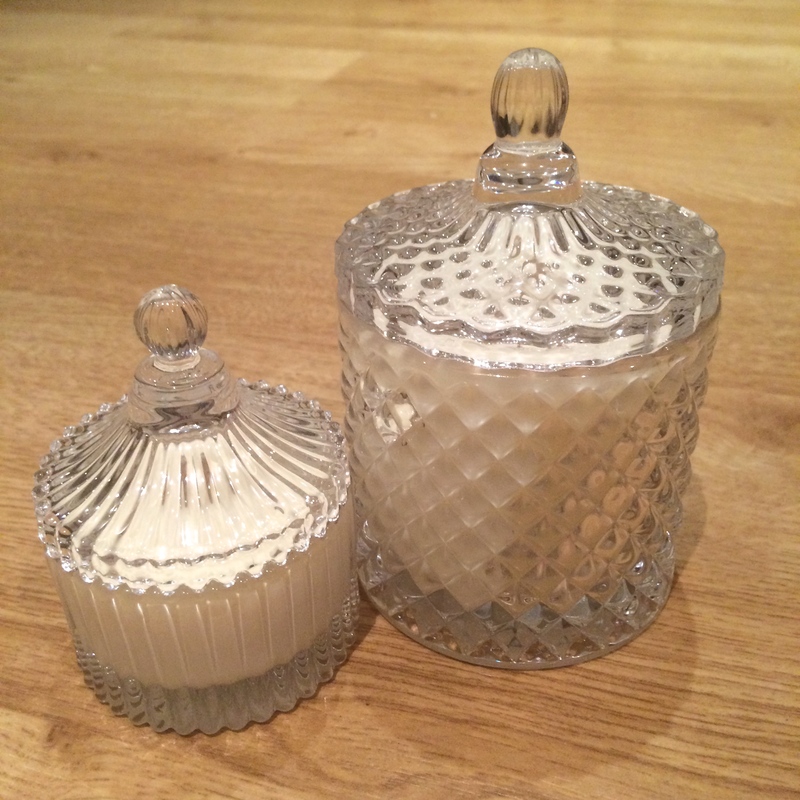 The products are packaged beautifully in trinket glass – which Marie and Stephanie intended to be reminiscent of a dressing table in times gone by. These candles look and sound amazing! Great review!